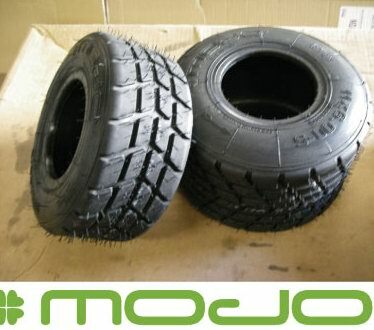 The MOJO W2 wet tyre which has recently been approved by the AKA for racing in the Rotax Classes will be eligible for use as from the 1st of May. Testing has shown that on a wet track tyre pressures can be set at 14 p.s.i. front and rear as a starting point but drivers should customise these settings to their individual requirements. We now have stocks of these tyres in store.